Angry Birds Epic: Here is a quick guide on how to download Angry Birds epic game on your Kindle Fire tablet and Blackberry smartphone. Angry Birds epic comes with a immersive RPG(Role-Playing) gameplay which include epic characters and battles. Similar to earlier Angry Birds games you play as the mighty birds to take on the ugly pigs in battles fought on the Piggy island. 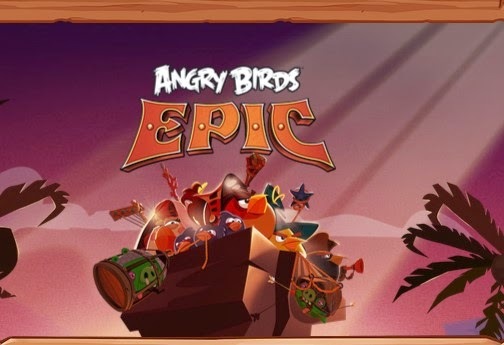 The game isn't officially available for either Kindle or Blackberry but if you want to play the game anyway you can download the Angry Birds Epic APK file from here. To install the game on Kindle fire download the ES file explorer app and then download the APK file. Now open ES file explorer and go to the directory where the APK is downloaded and install the game. To install the game on your Blackberry 10 device just download the APK file and install.